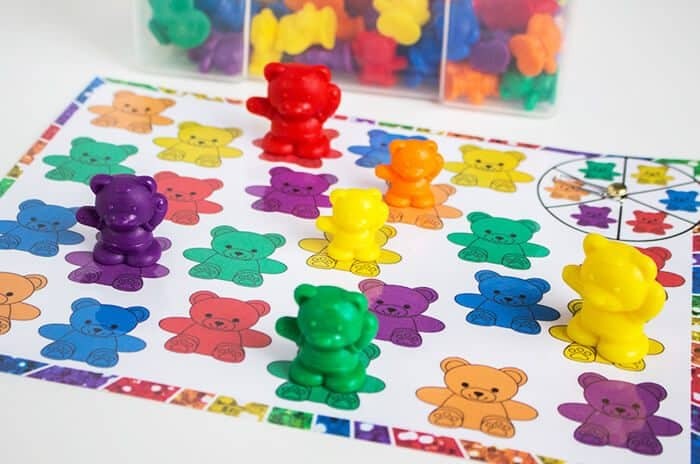 My daughter loves her rainbow bear counters! 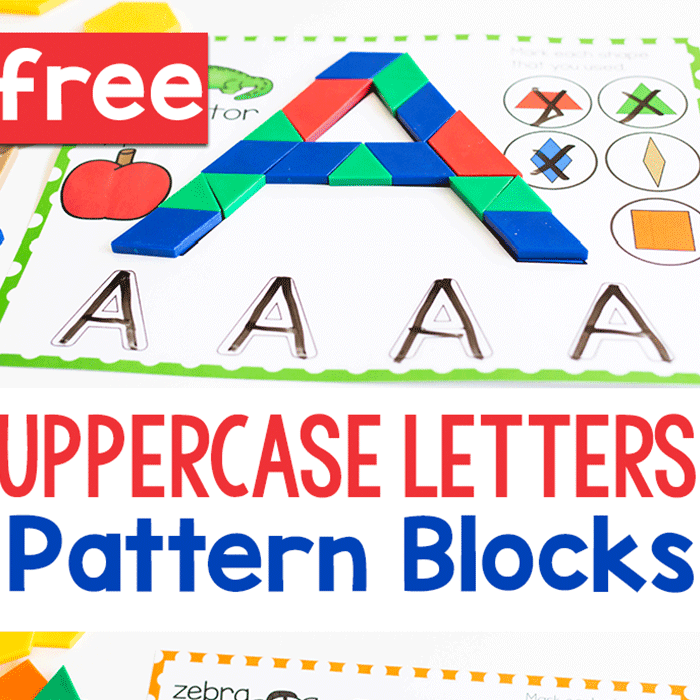 We have been using them for as many learning activities as possible. We’ve been counting, graphing, sorting colors and so much more! 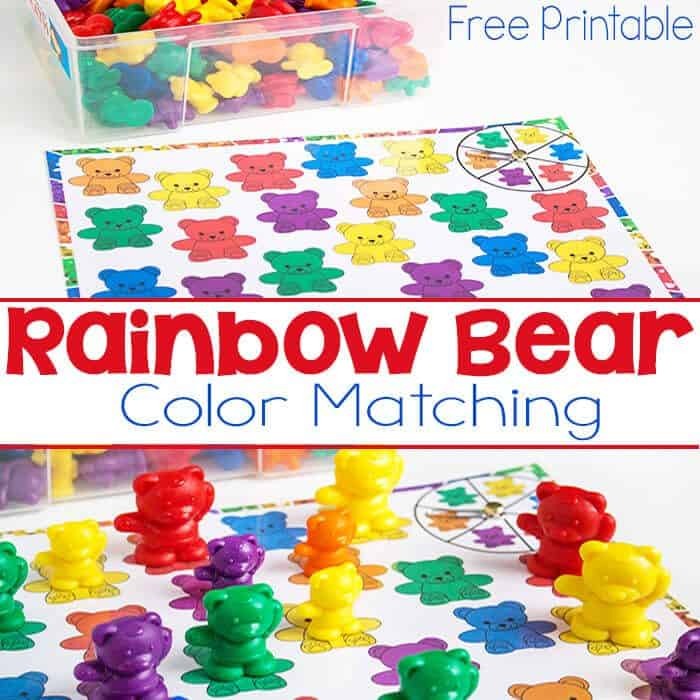 Today we have a rainbow bear color matching game! 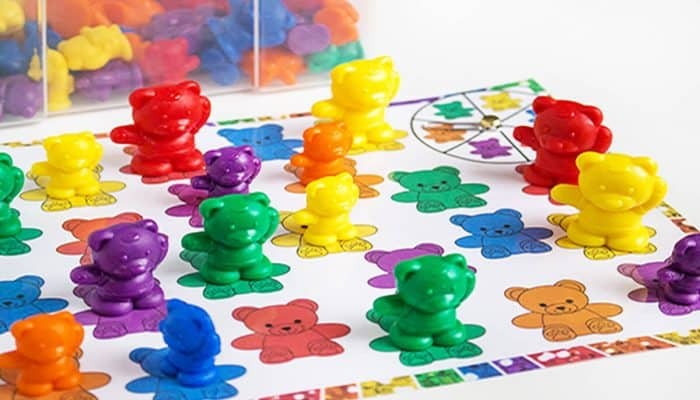 Shiloh loves our spinner games, so combining them with rainbow bears is the perfect combination for her right now. To prep: Print on card stock and/or laminate. Assemble the spinner by using the paper clip threaded onto the paper fastener. 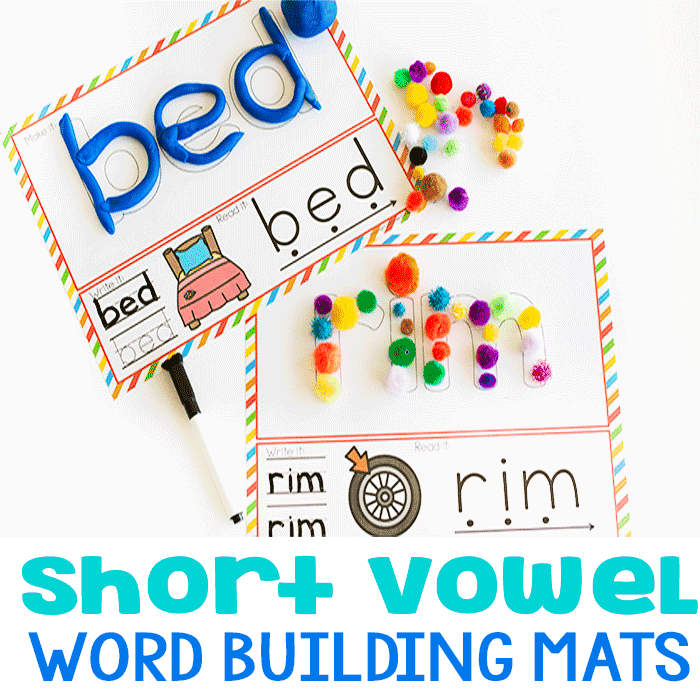 Alternately, you could use a pencil tip with a paper clip around it instead of the paper fastener, but it is easier for preschoolers to manage with the the spinner already prepared for them. 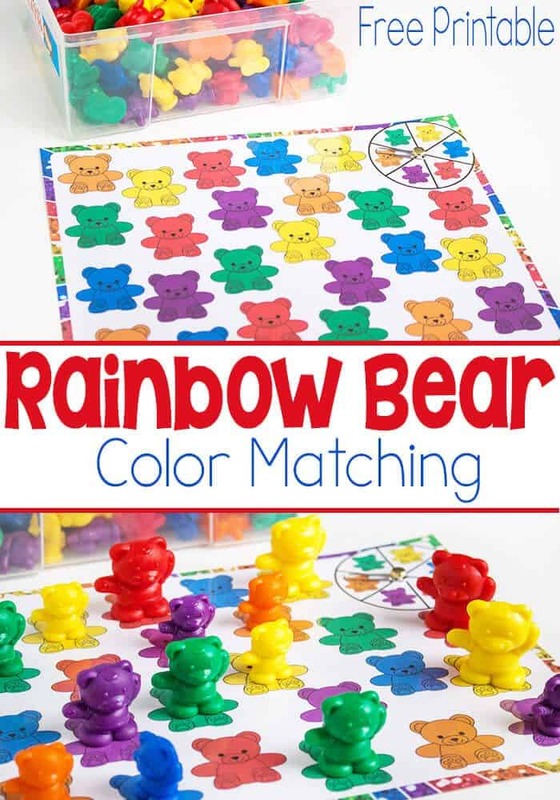 To play: Simply cover the rainbow bears as the matching colors are spun. 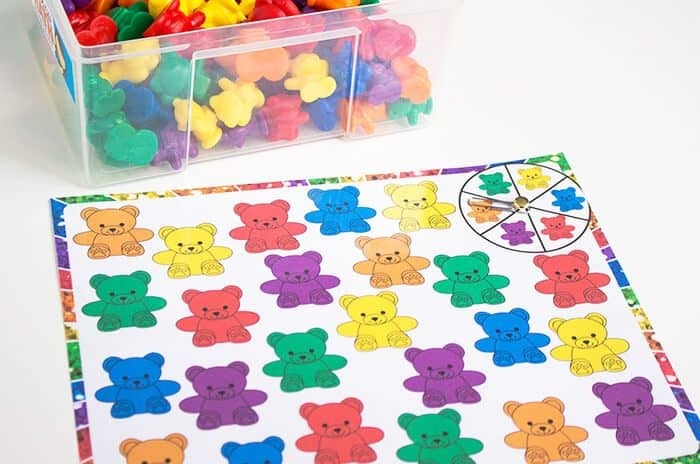 We have used other rainbow counters in the past, but I love the Thinking Kids Math Bear counters that we have now because they include six colors and 3 different sizes of bears giving us even more things that we learn with the bears. 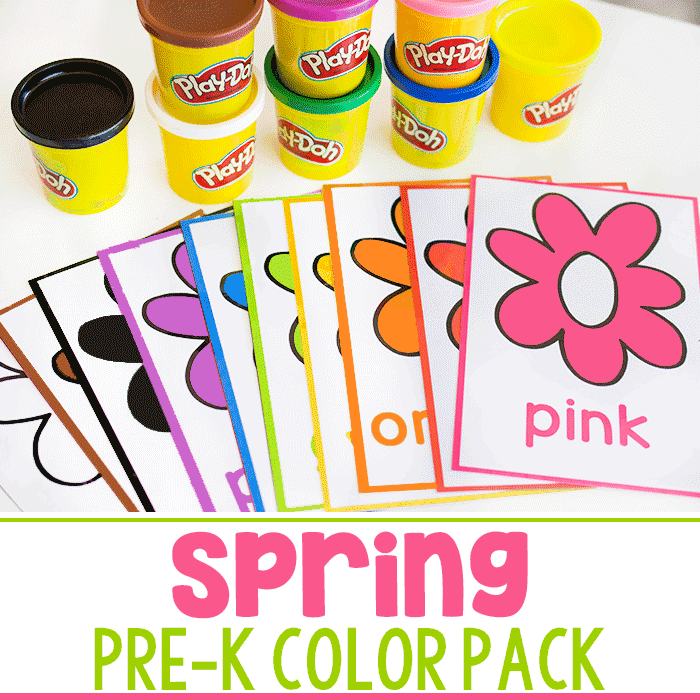 Here are even more Rainbow Activities for you to enjoy!